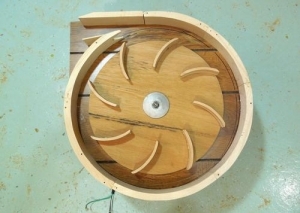 Homemade dust collector blower featuring a handmade pine impeller and powered by a motor sourced from a surplus tile saw. That's a finely crafted piece. Honestly though, I'd just go out and buy one.